I made this cute fabric covered gift box. The inspiration came from a craft on The Better Homes and Garden Handmade Christmas Gift site. 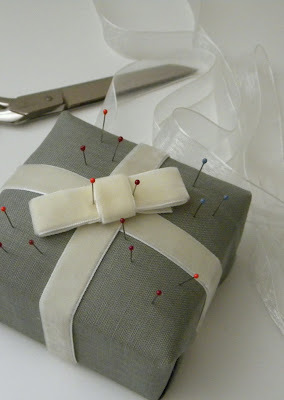 It’s a gift package pincushion. BHG used a foam square and wrapped it in fabric and ribbon. I made mine with a small sturdy gift box stuffed with fiber fill and topped with quilt batting. 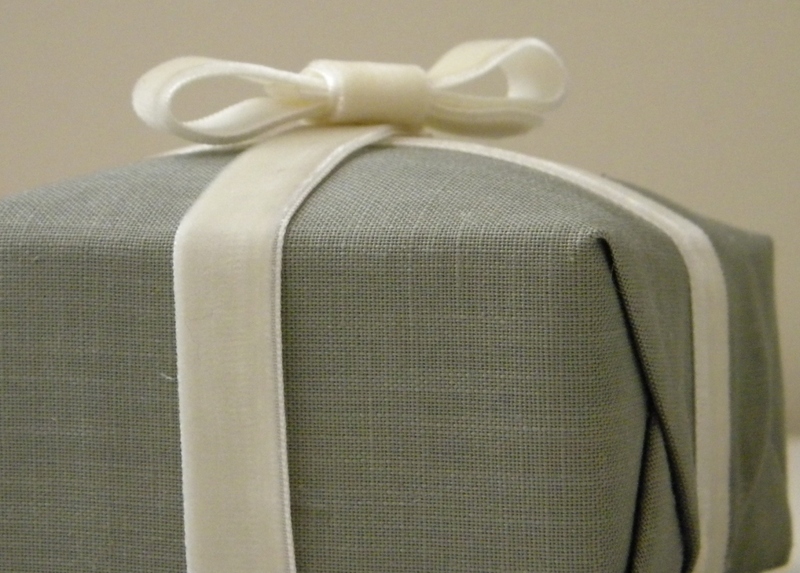 Then I wrapped the box in fabric and added the ribbon. 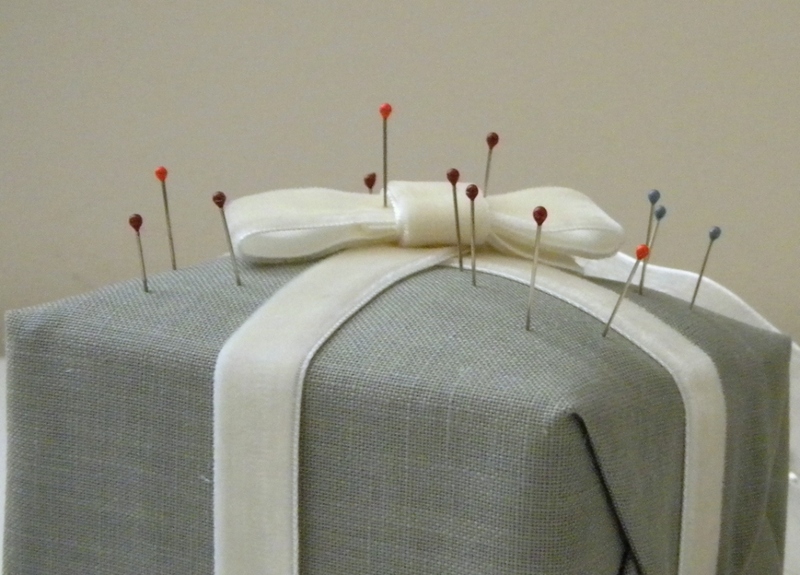 Either way, the pincushion is a perfect crafty gift for someone who sews. This is very simple and clean. I love the color combination too. Super cute for the sewer in your family! I adore this! 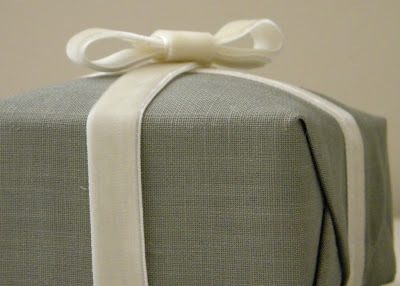 I love the grey and the velvet ribbon combo... yummy! Thanks for sharing! Love this! Simple and so cute. Great gift idea! Thanks for linking up to Craftify It Thursday! It SO is the perfect gift for a sewer! I love it! It is beautiful! Now that is adorable! Chic, clean lines. Thanks for telling us what lurks beneath - would be so easy to do!!! So cute! Thanks so much for linking this up! If I would've had more time, I could've whipped one up for my mom. She's quite the quilter. Maybe I'll get it done in time for next year! This is so sweet and clever! Will you share it at my new linky party this Friday? Really nice gift box. Nice Gift wrapping idea . Thanks a lot sharing this unique gift box.